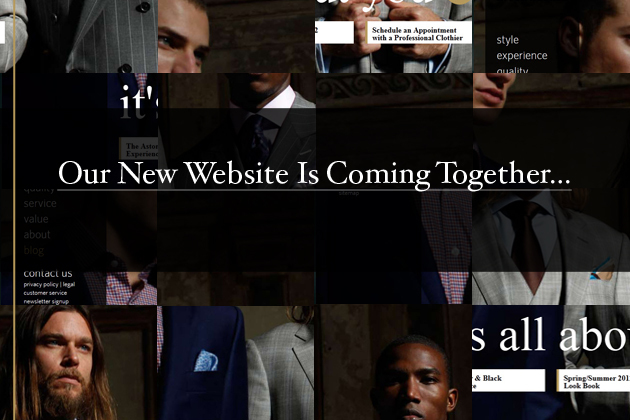 Our New Website Is Almost Here. And It’s All About You. Just a few of the new sections & features that will rock your world. The Spring Summer 2012 Look Book. Explore this season’s trends with 15 unique styles to shop from. The Astor & Black Experience. See what it’s like to work with an Astor & Black Professional Clothier. The Hallmarks of an Astor & Black Suit. Know Thy Clothes. Quality is everything. People of Interest. Every one of our suits tells a story. What’s yours?